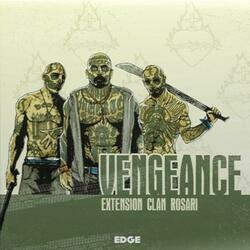 The Clan Rosari expansion adds a fifth player to your Vengeance games. This box also presents a new gang, the perfidious Rosari. They can either be added to five-player games, or replace one of the existing gangs in smaller committee games. This expansion also contains a new Hero: Reverend Gray. Nothing will stop him in his quest to prevent Rosari from recruiting local youth. With God in one pocket and a bottle of whiskey in the other, he fears nothing and no one. Be careful this game is an extension of Vengeance and cannot be played alone. To be able to play it you must have a copy of the game Vengeance .